With kazoos, electric ukuleles, bongos and harmonicas, you’ll be singing and dancing to music styles from Hawaiian to garage rock. And, you might even find yourself on stage too! The Mudcakes started in Nashville Tennessee and are now based in Melbourne Australia, specialising in unique interactive music performance and workshops for children aged 0 to 8 and their music lovin’ folks. 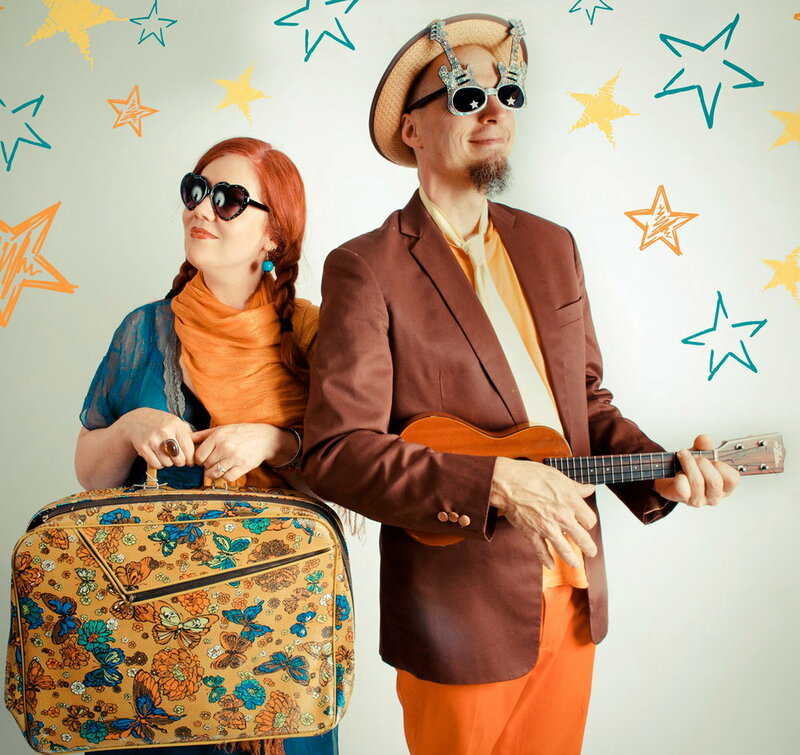 Rick Plant and Sherry Rich are professional career musicians who have played to kids [and adults] in all sorts of places around the world.